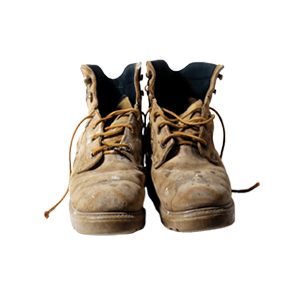 When it comes to real estate transactions, we've walked a mile in your boots. Shopping center owners and retail developers rely on McBrayer to handle any and all matters related to the establishment of retail outlets in Kentucky. Featuring one of the state's preeminent real estate practices, our firm is equipped to handle the myriad issues that must be resolved in order to help clients develop and run a successful business. Planning and zoning: We work proactively to seek approval from local officials on the proposed development plan, and we appear at all necessary zoning board hearings to address land use and other issues. Construction and development: Our firm handles various financing structures, from conventional construction financing to securitized financing. We also counsel developers on matters involving architects, contractors and construction managers. Leasing: Our leasing practice includes representation of landlords, anchor tenants and in-line retail tenants. We are able to negotiate, draft and finalize comprehensive leases that address issues of insurance, renovation and management. Litigation: We seek to economically resolve disputes, such as landlord-tenant disputes, construction and mechanic's liens, and free speech/public access issues. Property management: Using our depth of experience and resources, we are able to assist clients in keeping costs down by finding creative, practical solutions to everyday problems. Taxation: Our firm strives to structure projects in a way that minimizes real estate taxes. We also handle property tax issues, having successfully obtained abatements and exemptions for a number of clients. The strength of our firm's shopping center and retail development practice is our relationships with developers. We have vast experience working on the national stage as well as with local developers. Clients trust us to be involved at every stage of the process from finding an empty plot of land to the building phase to occupancy issues and everything in between. Our team seeks to provide value-added services that further our clients' objectives. To discuss how our law firm can assist you in the development of a shopping center or retail outlet, contact our law firm online. With offices in Lexington, Louisville, Greenup, and Ashland, and a government relations practice in Frankfort, we serve clients throughout Kentucky and the United States.